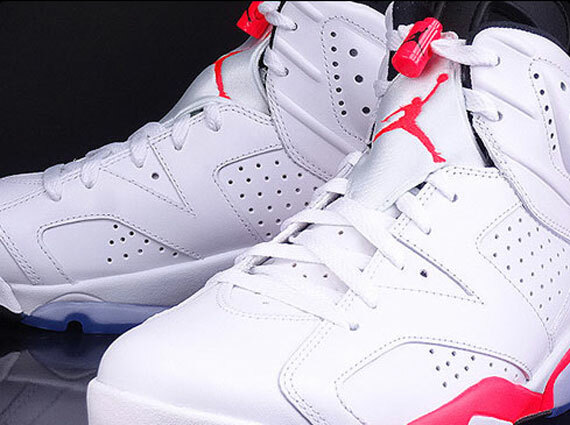 It’s a battle of the new and the old tomorrow as far as the Jordan 6 is concerned. 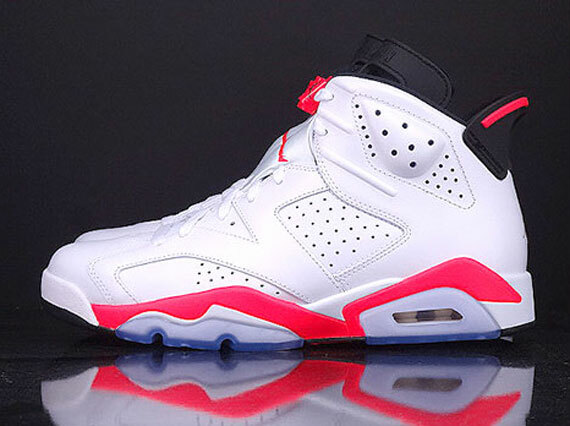 Satisfying the purists will be this pair, the Air Jordan 6 “White/Infrared”. The sneaker was one frequently seen on-feet for MJ during that season in which he first cemented his Championship status. 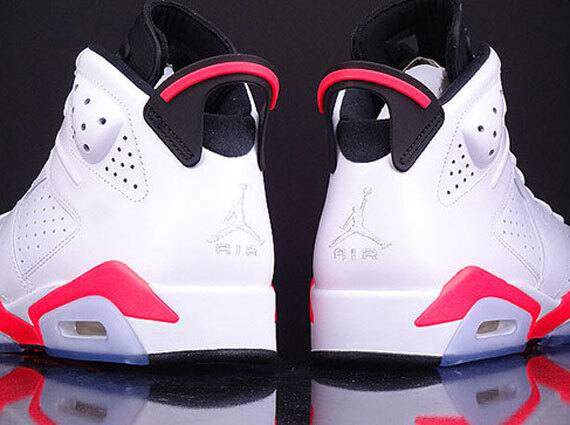 Photos floating around suggest that the Infrared shade used this time around is just a bit brighter than the last retro, but we’d advise that you see them in person before you make any rash decisions about passing. Continue reading for extra shots and then see if you can scoop them up on eBay.